To Begin: Choose from any of our Irish Approved Hotels to start your Irish adventure. Morning: Wake up in one of our Irish Approved Hotels and enjoy a hearty breakfast to give you energy for your day of adventures. After breakfast, head to the heart of Historic Dublin for your first activity. The Irish Fairy Doors of Dublin Trail- This FREE fairy scavenger hunt is great for the whole family. 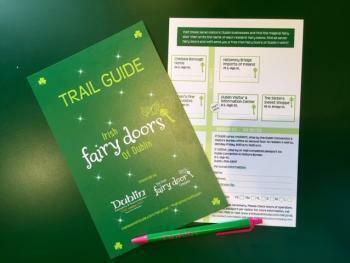 Pickup your trail guide at the Dublin Visitor & Information Center, follow the map to find all seven fairy doors and turn it back in to receive a FREE t-shirt. Afternoon: After becoming a Fairy Finder, head to the Bogey Inn for lunch. Sit by a window to get a view of Glick Park and the O&apos; Shaughnessy Dam while indulging in a great lunch. 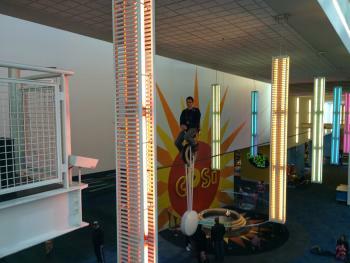 Then head to COSI, the center of science and industry, for an afternoon of hands-on fun. Let the kids ride the high wire unicycle, watch food decompose or lift a car in the Big Science Park! Evening: A full day will bring grumbling bellies for something filling. Don&apos;t sacrifice taste for atmosphere, Brazenhead Pub has a wee bit &apos;o Irish for your dinner setting. With authentic Irish decor, menu items such as Guinness beer-battered fish and chips or an Irish Reuben, it&apos;s the perfect place to spend a few hours eating, drinking and enjoying the music. Morning: Wake up and head to Matt the Miller&apos;s Tavern for a delicious brunch served from 10am - 2:30pm. Fill your plate and enjoy the Ultimat Bloody Mary Bar. Dublin is home to a wide range of breakfast and brunch options, see the list HERE. 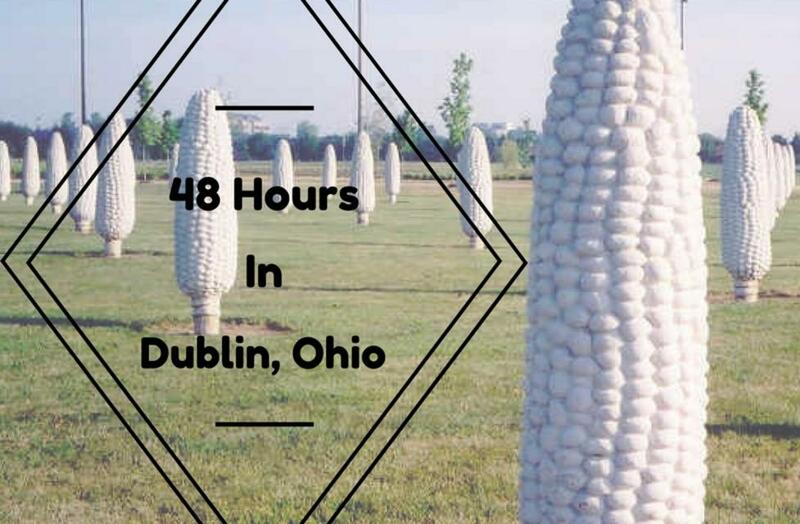 Afternoon: Take a cruise around town while experiencing all of Dublin&apos;s Public Art Installations. The Dublin Art in Public Places Cell Phone Tour is a great way to see all of the monumental areas of the city while learning about them too! After you view award-winning artwork, explore why it&apos;s always greener in Dublin in our parks and paths. 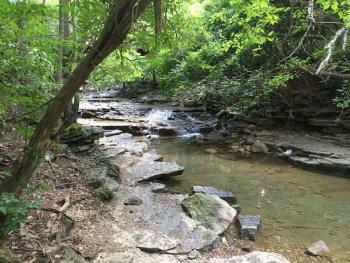 Take in the view at Indian Run Falls, hike the trails of Glacier Ridge or listen to the waterfall at Glick Park and Overlook. Mother Nature put her best work in our backyard! Evening: Before heading home, stop into Dublin Village Tavern for one last taste of Ireland. Enjoy Irish Egg Rolls, an Irish Kettle Dinner or an Irish Car Bomb Brownie that&apos;s sure to satisfy your Irish appetite. Irish is an Attitude in Dublin, Ohio! During your weekend in our quaint Irish town, we hope you&apos;ll share your #SoDublin moments to be featured on our website. For all things Irish click HERE. Slan (goodbye)!